Dental implants are a great way to regain your smile if you have ever lost your permanent teeth. Not only will dental implants improve your appearance and confidence, but there are also many oral health benefits. Robert D. Hays Cosmetic and Family Dentistry has been doing dental implant procedures in Citrus Heights for 25 years. Unlike dentures, dental implants will give you a permanent replacement for teeth. They are durable and will give you more support and stability. 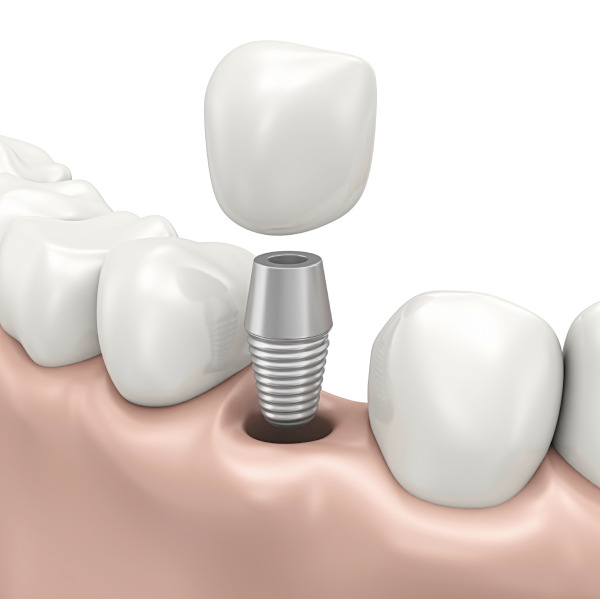 Dental implants replace the roots of the teeth. They are usually made out of titanium and are placed in the upper or lower jaw bone. The result is the appearance of natural looking teeth. You can eat, digest, and speak more easily, as the implants are permanent and do not move around. You can fix any bite or joint problem from teeth shifting as a result of missing tooth space. You can help restore and improve facial issues. Dr. Robert Hays will do an oral exam and figure out the best options for your teeth. Dr. Hays will make sure patients understand all the possible alternatives when thinking about dental implants, including affordable options such as dentures and dental bridges. Once dental implants are approved by Dr. Hays, he will make sure to plan out a procedure suited for your dental needs. The plan will include x-rays and taking impressions of your mouth. With this information, Dr. Hays will be able to formulate how your dental implants will be placed for your teeth. A prosthodontist will place the titanium implants and Dr. Hays will conduct the artificial crown restoration. After the procedure, patients are set up with an after-treatment plan. A take-home set of instructions will be given to patients explaining good hygiene routines and eating habits. Subsequent checkups will also be advised. If you would like to learn more about dental implants in Citrus Heights, call us today and schedule a consultation.